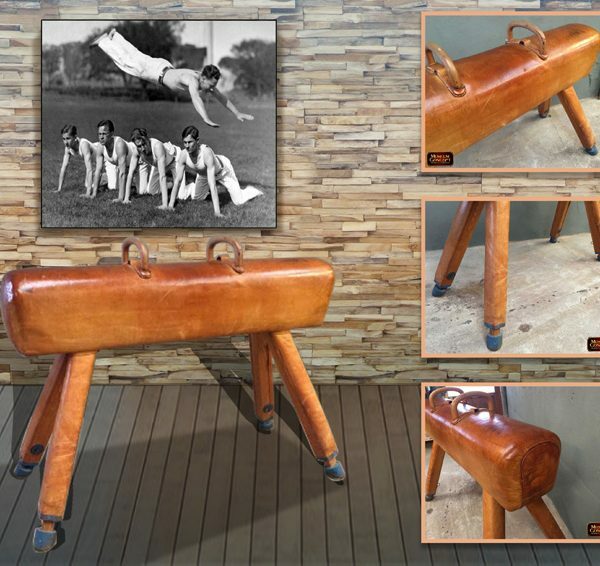 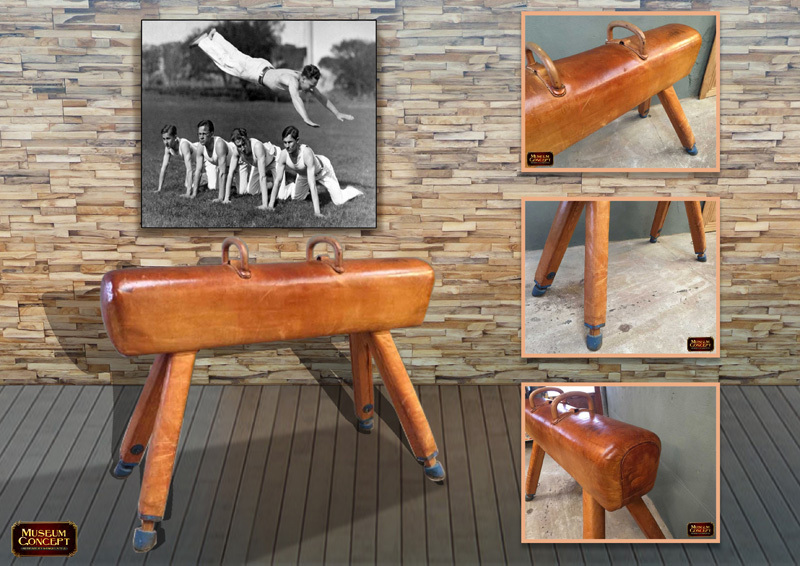 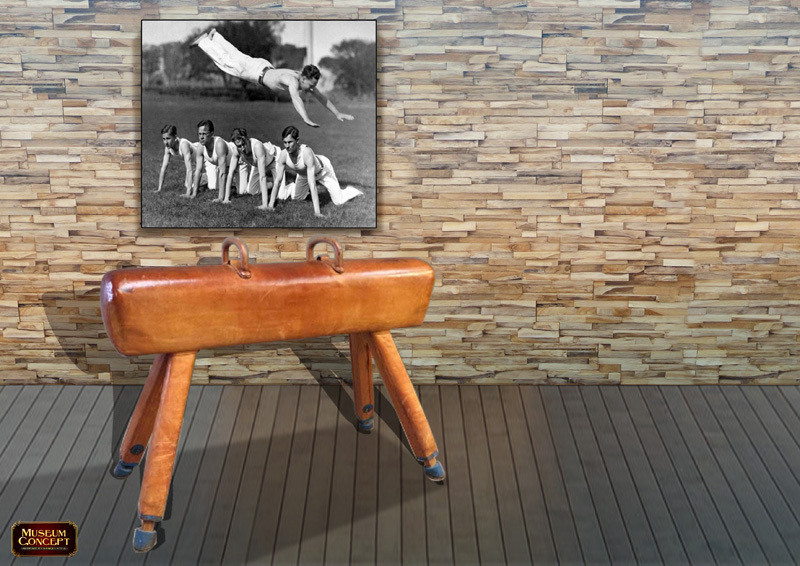 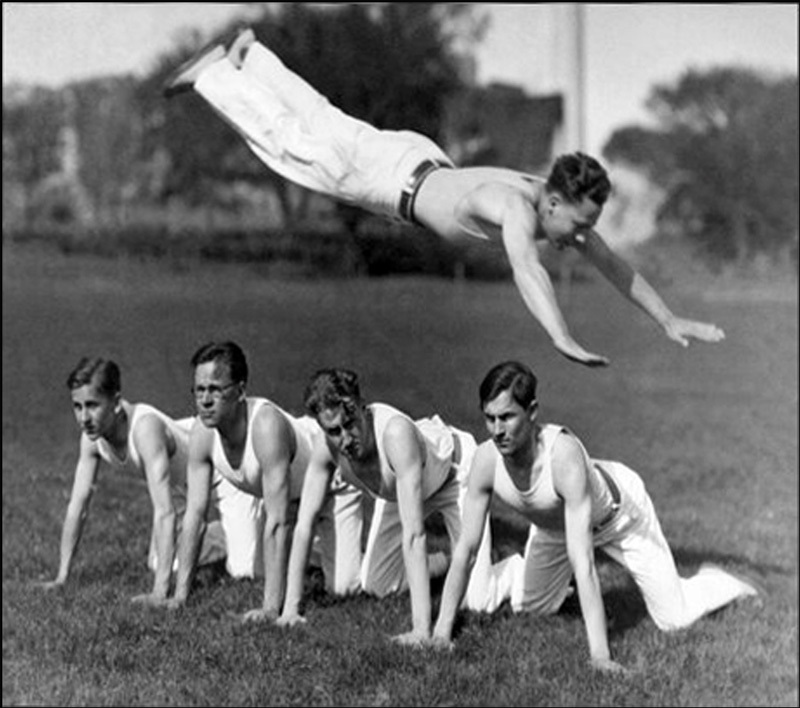 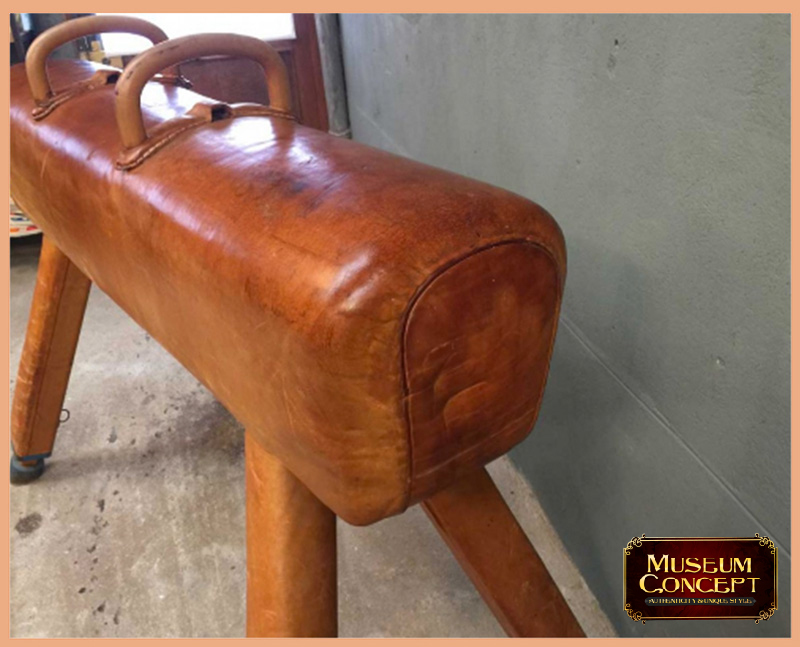 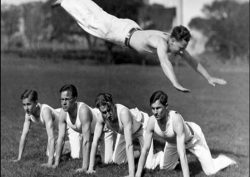 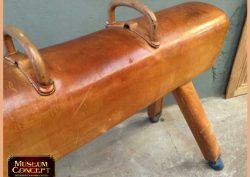 Salvaged from a gymnasium in Czech Republic, this vintage large-scale pommel horse (120 cm-high) is in perfect condition. 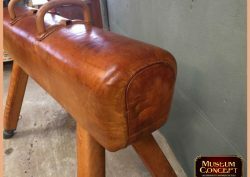 The thick A-grade quality leather – with no rips- has beautifully aged and its patina is a pleasure to touch. 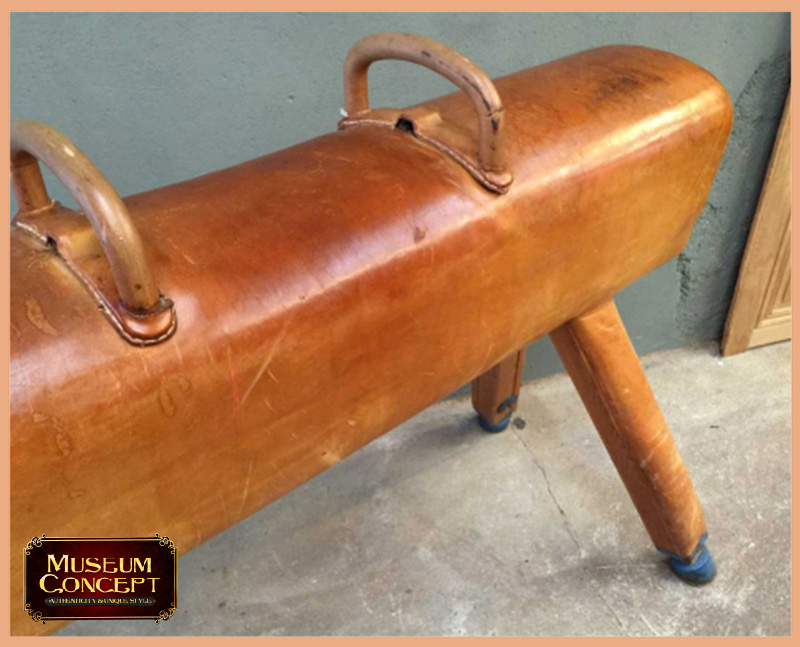 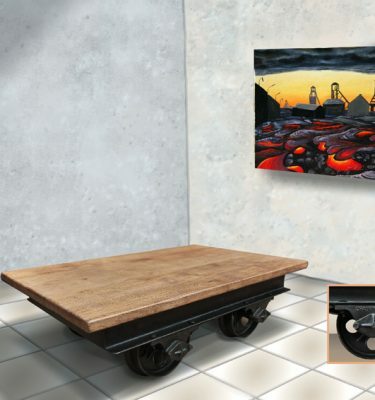 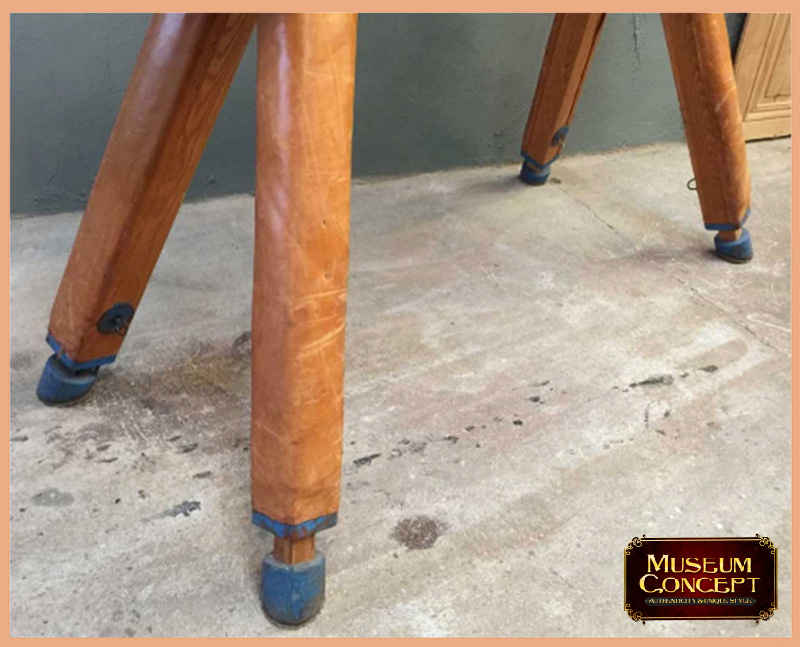 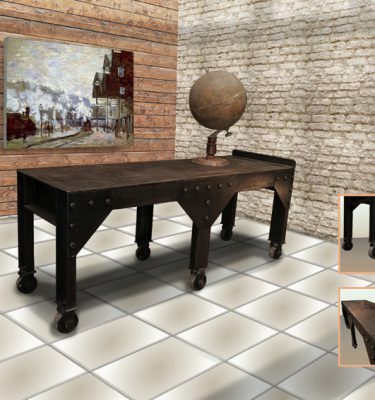 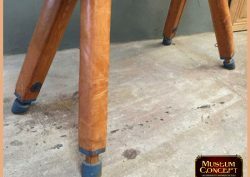 Upon request, it’s possible to shorten the wooden legs in order to transform this element into a stunning bench seat. 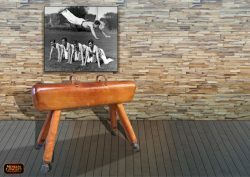 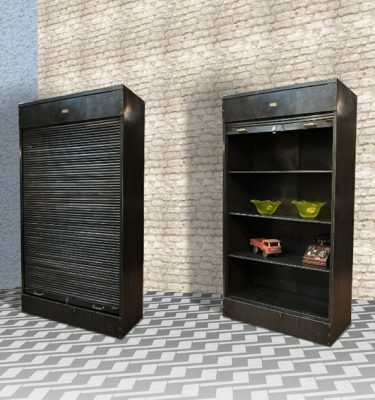 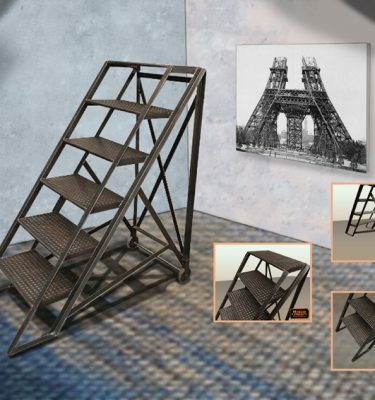 With the small and medium versions still available, here are plenty of smart ideas for an innovative sports bar, a classy sports shop or a super sports room at home.